This cube animation can be activated IF your hardware is compatible. 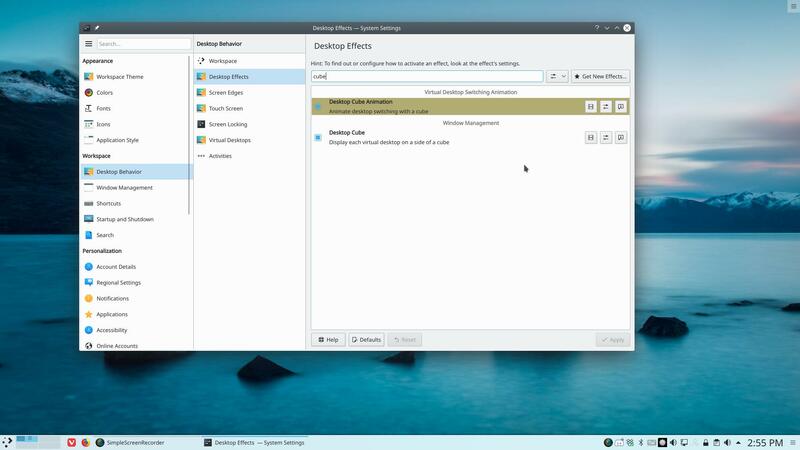 Plasma will not show this animation if your hardware is not suitable. A cube has 4 (actually 6) sides. Top and Bottom get the ArcoLinux logo. 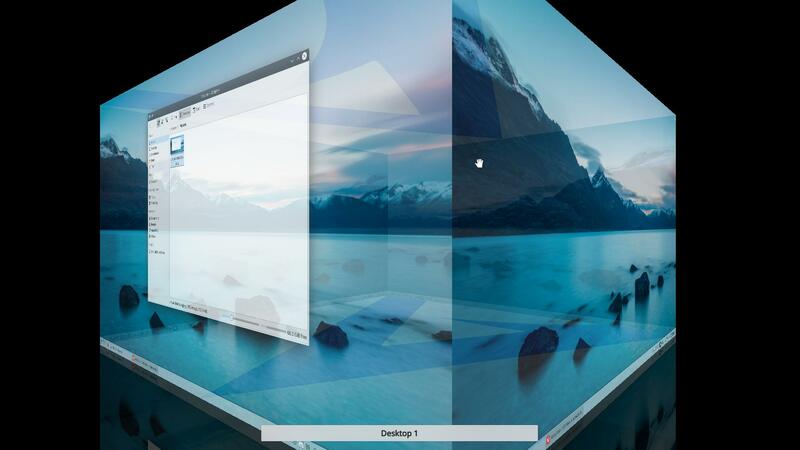 You need to have 4 virtual desktops or else there will be NO CUBE. 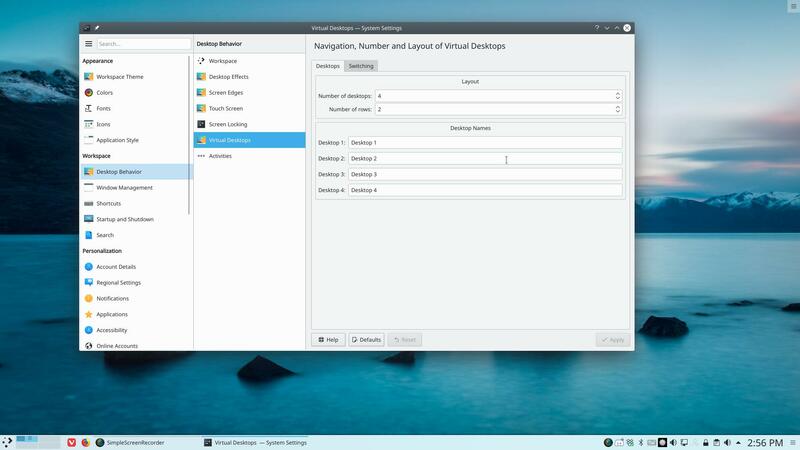 In the left of the tray you can select the virtual desktop too. In the video I work on a dual screen – so you see half of the cube. The picture above shows it better.